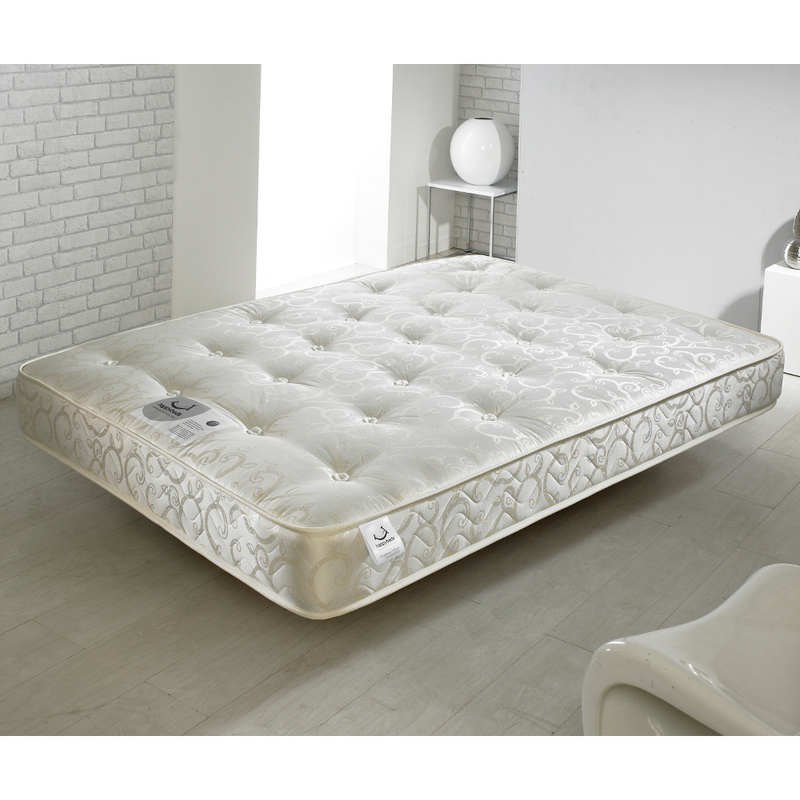 A comfortable choice for a children’s bed, the Compact Gold Tufted Orthopaedic Spring Kids Mattress offers a safe and cosy night’s sleep for the younger members of the family. As the name suggests, the Compact Gold Tufted Orthopaedic Spring Kids Mattress is a more compact iteration of the Gold Tufted Mattress and clad in a golden, damask fabric that adds an extra element of style and comfort. Keeping quality for a variety of different beds as its main focus, the Compact Gold Tufted Orthopaedic Spring Kids Mattress has been designed to last for years. Its modest 15cm thickness makes it a great choice for many purposes, whether it’s being used on a guest bed, slides into the trundle section of a trundle bed or to comfortably host your child until they’re big enough for something better suited to their needs. 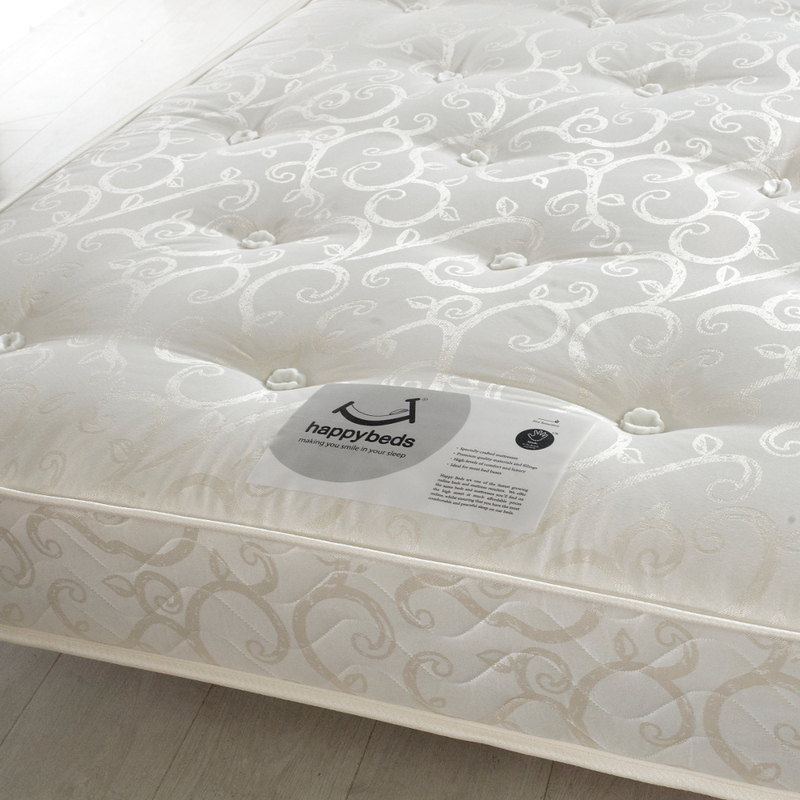 Making use of open coil springs, the Compact Gold Tufted Orthopaedic Spring Kids Mattress acts as an excellent traditional spring mattress that provides kids and guests with a reliably sturdy and cosy sleeping surface. 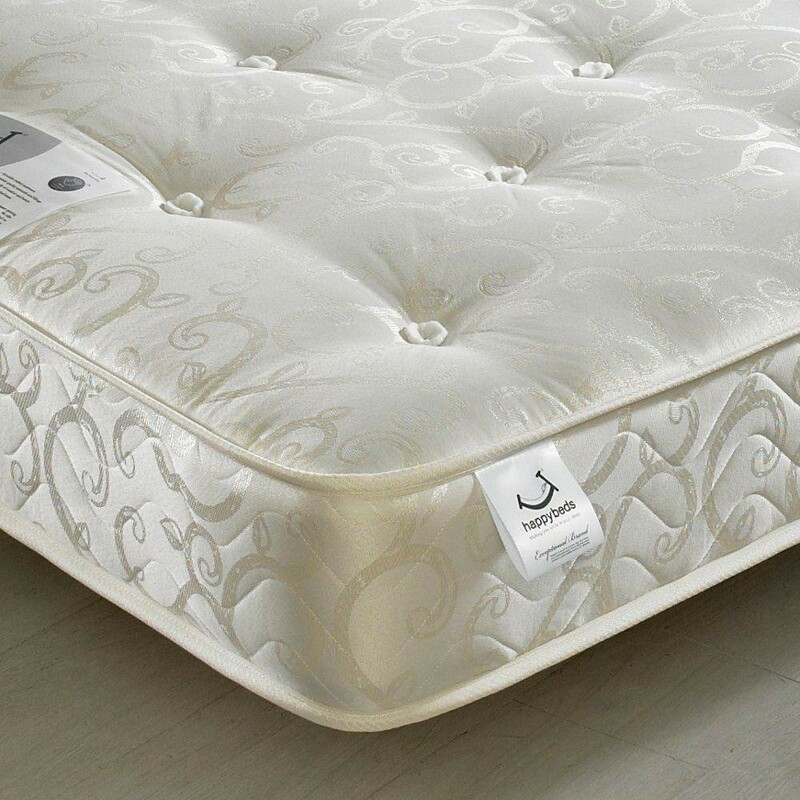 Rated as being somewhere in the middle of soft and firm, the Compact Gold Tufted Orthopaedic Spring Kids Mattress will be able to offer children or guests a comfortable night’s sleep without having them sink into the mattress. 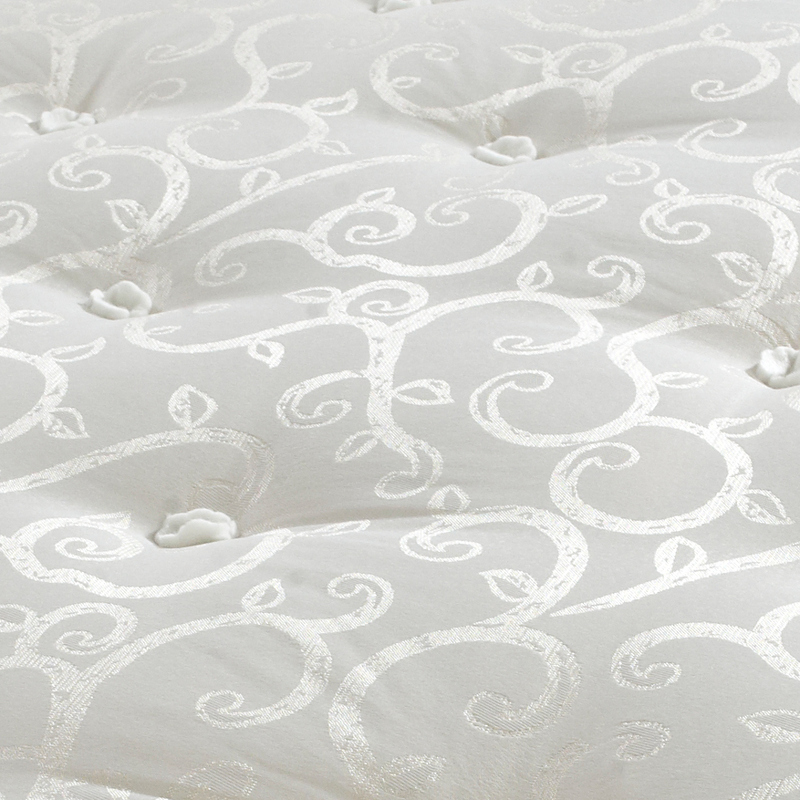 The luxurious fabric adorning the Compact Gold Tufted Orthopaedic Spring Kids Mattress, a soft-to-the-touch damask fabric, is also enriched with mattress tightening hand-tufting, making it a good choice for a tufted mattress. Not only is this rather eye-catching but adds an extra element of durability, which means that the Gold Tufted Mattress also serves as a potentially potent orthopaedic mattress.